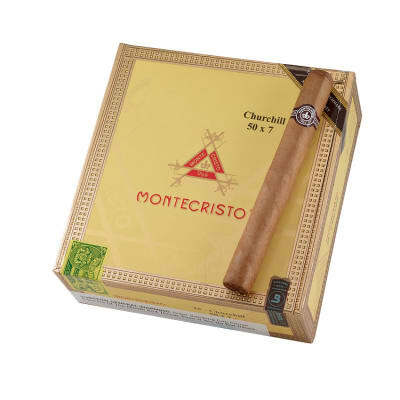 Montecristo Churchill cigars are an epic smoke indeed, with a taste, burn and construction that is hard to match, let alone beat. Rare, aged Dominican tobaccos are wrapped in only the best CT shade leaf, and aged to complex perfection; that's why Montecristo is the standard-bearer. Order yours now! As expected! Great construction, flavor, great smoke for after dinner and watching a game. Goes well with a glass of Buffalo Trace! The best Dominican cigars money can buy. When I first started smoking cigars I picked up a box of cheap Nicaraguans from my local store. I was immediately repulsed after trying them and almost quit the hobby right then and there. After trying several cigars that are too strong for a beginner I began refine my pallete and finally splurged for a box of Montecristo Classics from the same local retailer. They were pretty good... But something was missing from those and I couldn t quite put my finger on it. A few months and cigars later I discovered Montecristo cigars on FS. The price was initially off putting! But after getting a $40 off coupon I went for it and order a box. Even today of all the cigars I ve had, from Cubans, to Hondurans gross! 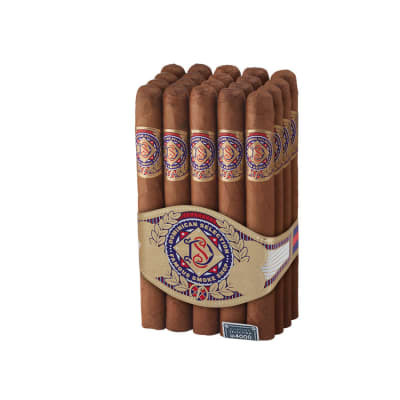 , to the bold spicy flavor of Nicaragua, I always come back to Montecristo for my regular smoke. They are creamy, nutty, and have peppery kick. When you dry pull on one the flavors will make your mouth water with anticipation! From end to end every cigar in the Montecristo Yellow is absolutely superb. They are mild and chock full of flavor, but no so intricate that they overwhelm whatever you might be drinking. Beer, scotch, rum, cola, iced tea, etc,. 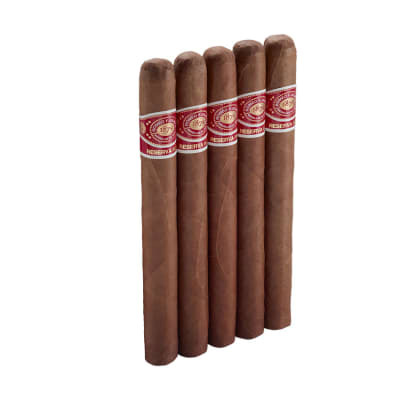 They all work well with Montecristo and that is awesome. Pool side, beach side, after work, vacation time, thinking time... 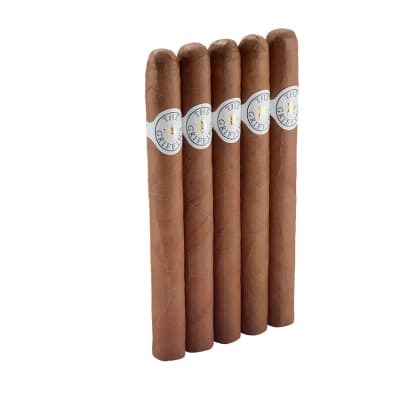 They are always good!The cigars are immaculately rolled, banded and packaged. Out of dozens of boxes smoked I have NEVER had a cigar that was plugged, drew too tight, or was otherwise not good. There are a lot of nay Sayers out there that will tell you Montecristos are overpriced and overrated. They have been smoking Nicaraguan cigars too long and have forgotten what a truly smooth and delicious cigar tastes like. They say these cigars are one dimensional and fail to intrigue the pallete. They are wrong! These cigar hipsters do not know what they are missing if only they would just buy a box and enjoy them. In summary out of all the Dominican cigars I have ever had the yellow line of Montecristos are the best time and time again. Yes they are expensive compared to your up and coming boutique brands that the cigar hipsters would have you buy...But they are worth it! Best dominican cigars money can buy! Long even burn throughout the entire stick. Tasty puffs of creamy smoke lasted well over an hour. This should easily be a 90-92 rated cigar. It's gonna be the one you reach for in your humidor,when you got the time. I'm relatively new to smoking cigars but I've already had enough to know the difference between a mediocre cigar and a good one. In my opinion this is an amazing cigar and by far one of the smoothest. It has no harshness to it and it has an excellent aroma and flavor. Definitely something I'll smoke a lot more of in the future.